Whoops! Maybe you were looking for Pee? Whoops! Maybe you were looking for Urine? 1 Barry - The King Of Peas. Barry - The King Of Peas. Born from a mutated pea and a brain damaged hippo, Barry the neon green hippo has been proclaimed the King Of Peas by the royal association of peas. He was resident at 133 Reatrded lane, and had no siblings or parents. Barry was born on the 8th of August 2008, and unfortunatly died on the 7th of September 2010. The cause of his death was that he was captured by a family of gnomes, who lead him to a large tub of Hydrochloric acid, which he unfortunatly fell into. His funeral ceremony was an emotional event. He earned the title, 'The King Of Peas' when his colour of neon green was universally reconised. He also had stood up for the rights of peas for all of 2009, and earned his title on 6th July 2009. Peas, unlike many others from the Lathyrus family, give this world no hope for a better day. The elongated pod that a pea is spawned in symbolizes the not only hatred for non-Asian cultures around the world, but love for one special Asian group- the Japanese. This pod also subliminaly suggests that all black people are homosexuals, and ######## don't really exist. The fact that a pea is green tells a lot about it's evil nature, green being the natural color of death. Pea's were first grown in 1427 to be used as a poison meant to kill small children and black people, and they were created by the Devil. The offspring of many of today's diversified pea's has caused a horrible uproar in the Mexican community. These Spaniard-decendents seem to believe that pea's were created originally by their ultimate God, Zam, and they strongly discourage their youth to believe that peas are anything other than perfect. 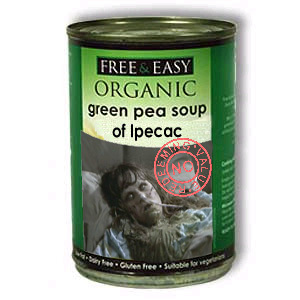 Today you can find peas almost anywhere Satan can reach, especially in the freezer isle. Peas are a small, green vegetable bent on taking down its arch-rival, corn. There have been many pea-corn wars that especially plagued the years 1926 and 1928. Civil unrest in pealand (located between two minor countries in Africa that no one really cares about) led to a split in the peas-- a natural pea faction and a frozen pea faction. Forgotten about after this, peas were brought back in 1990 by quite possibly the best Prime Minister that Mediocre Britain has ever had. The frozen pea faction has gained considerable momentum in America, but the bloody corn-pea dispute continues to destroy many settlements of both peas and corn alike. Yesterday, after a lengthy discussion with my abusive girlfriend over the generally dilapidated state of our apartment, I decided to do some housework. I began by clearing out the freezer, and to my surprise I found a handful of frozen peas at the bottom. My girlfriend has been annoying me recently over this issue, so I'm looking for someone to take them off my hands. I'm getting sick of eating bloomin' peas all the time. I mean, small round green balls - where is the appeal? So if you want them, you can have them. Seriously, take them. Please note, my hand may be bigger or smaller than yours so it may not be a handful when you get it but it was a handful when i put it in mine. The common or garden pea is one of the most poisonous plants to grow anywhere outside of Africa. The poisons found in peas range from the relatively harmless Bondianarter Poison all the way to the LD50 Poison, which on it's own causes deadly effects, but who's symptoms can be related to various children's diseases. The http://www.southlakeland.gov.uk/images/fsa-logo.jpg have attempted to ban the food, but governments - including the British and American governments - hate children as much as all adults and just laugh when asked to give the consented banning. Children, remember the pea will hunt you down and kill you in your sleep--86.172.121.214they will cut off your limbs!!!! This page was last edited on 8 October 2012, at 02:59.